Facebook Pages are a great way to promote your business, a cause, or just your hobby. 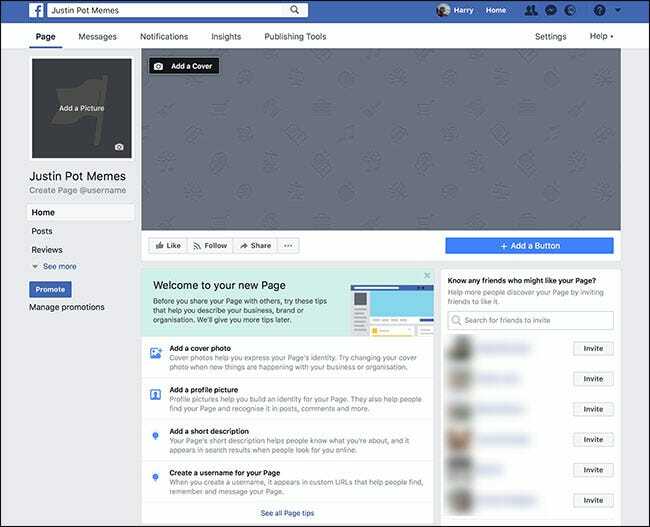 Unlike Groups, which are more of a community feature, Facebook Pages work mostly like a regular Facebook Profile. You can use them to share posts, photos, videos, and whatever else you want. You can also send and receive messages. It’s basically just a profile but for something that’s not human. The biggest difference is that any number of people can Like and Follow the page. 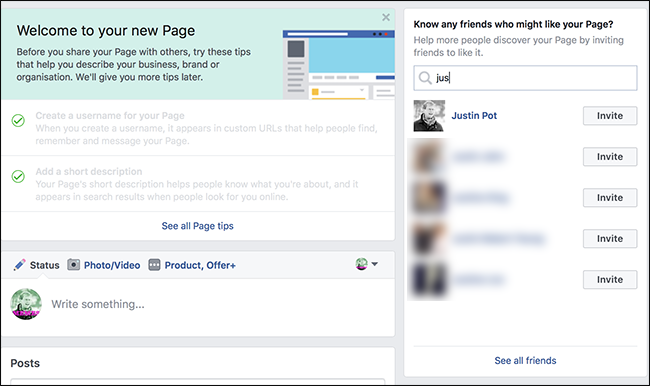 RELATED: What’s the Difference Between a Facebook Profile, Page, and Group? 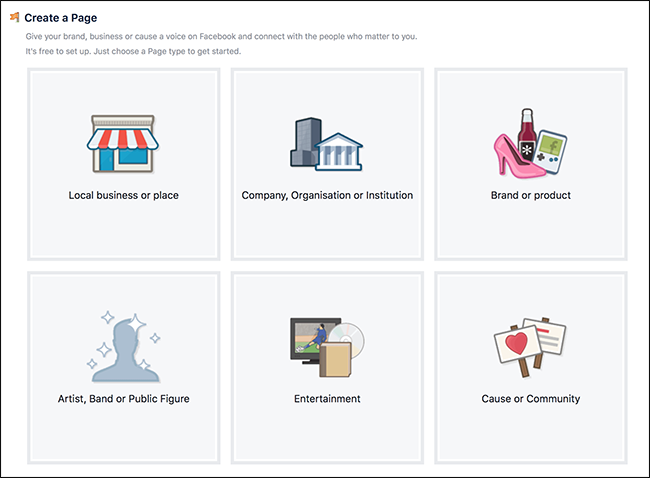 You need a personal Facebook account to create a Facebook Page. 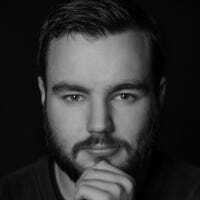 You don’t have to use it much, but you can’t make a Page without one. 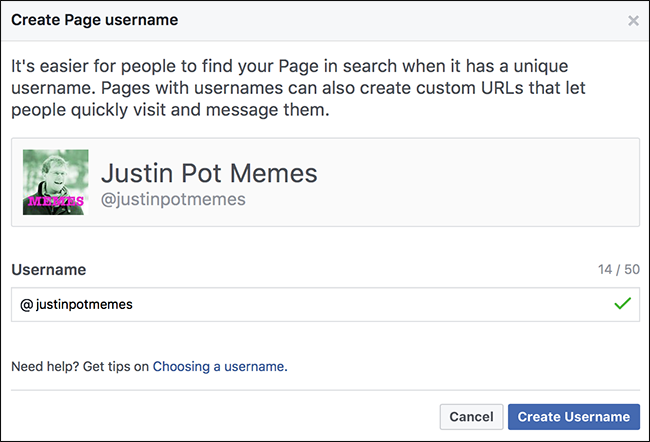 To get started, log in to your Facebook account and then click the dropdown arrow in the top right corner and select the “Create Page” option. You can create as many Pages as you like. 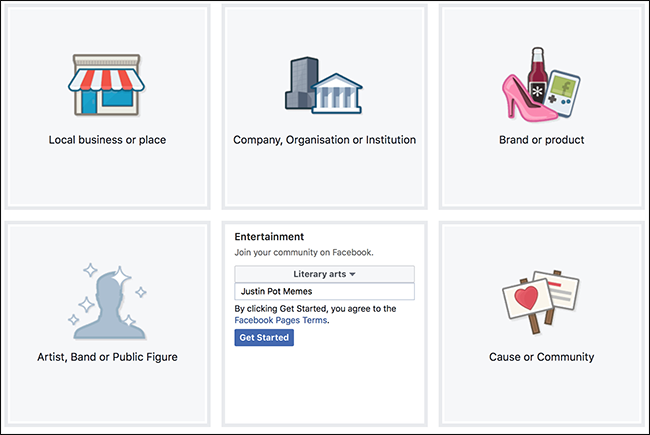 You can choose from six different categories of Pages: Local Business or Place, Company, Organization or Institution, Brand or Product, Artist, Band or Public Figure, Entertainment, and Cause or Community. Anything you want to create a Page for should fall roughly into one of these categories. 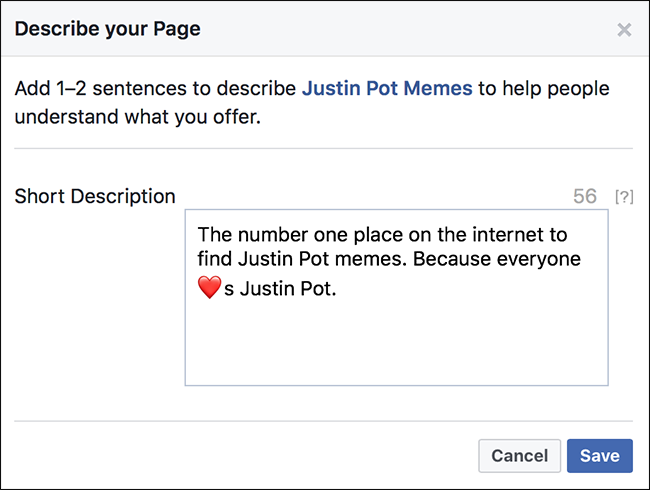 I’m going to create a Justin Pot meme Page to share all my dank Justin Pot memes. To my mind, that’s entertainment. Select whatever category you feel best suits the Page you’re creating, and then fill in the information that’s required. For most Pages, you just need to provide a Page name and select a category. For a Local Business or Place Page, you need to provide an address, as well. After you’ve filled in the information, click “Get Started” to create your new Page. Our new Page looks a little barren, so it’s time to customize things. We’ll spruce things up with a cover photo, profile picture, username, and a description. Click “Add a Cover” either at the top of the Page or under the “Welcome to Your New Page” section to upload an image that represents your Page. Do the same for the profile picture. Next, click create a username for Your Page. This will be the custom URL people can use to visit your Page. Enter a username and then click “Create Username” to save it. Next, click “Add a Short Description” and enter a few sentences that describe the purpose of your Page. When you’re done, click the “Save” button. Now the Page is really starting to take shape, so it’s time to get a few fans. You should be the first so click the “Like” button. Afterwards, in the sidebar to the right, type the name of a friend you think might be interested in the Page, and then click “Invite” to let them know about it. Keep inviting people you think might be interested. 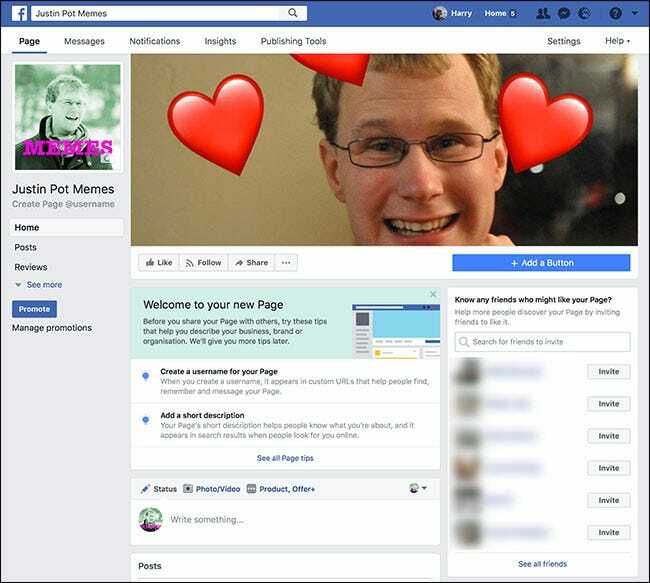 Your Facebook Page is now up and running. You can post things from it just like you would your own Facebook profile.